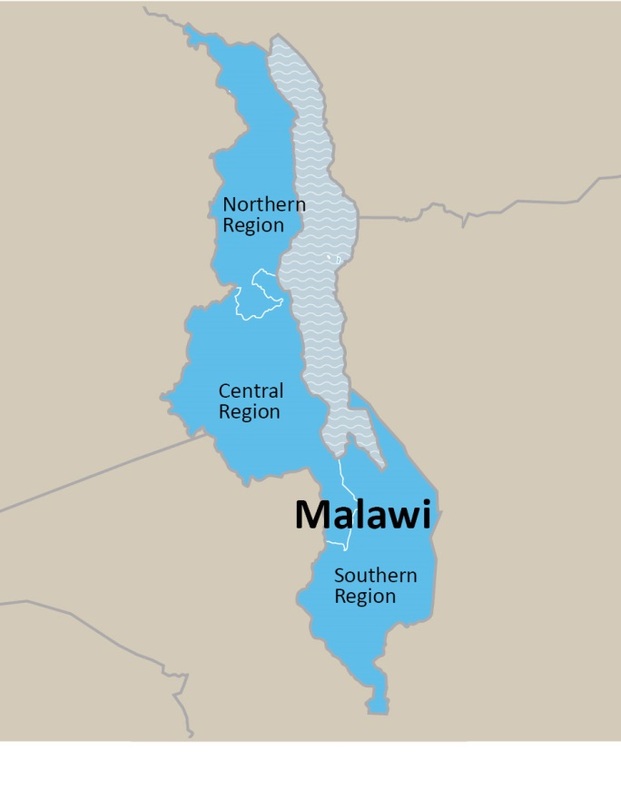 MalariaCare works in all 29 districts across Malawi’s three regions to improve diagnosis and treatment of malaria and other illnesses. The project supports the Ministry of Health (MOH), the National Malaria Control Program (NMCP), and other partners to strengthen malaria diagnostics through refresher training, supportive supervision, and quality assurance. MalariaCare also builds the capacity of clinicians to provide appropriate treatment of malaria and other febrile illnesses. In addition, the project is supporting the introduction of rapid diagnostic tests (RDTs) to improve the quality of case management at the community level. The MOH estimates that malaria still accounts for more than a third of all outpatient visits, with approximately 5 million suspected cases treated each year. Among children under five years of age, malaria is the leading cause of hospital admissions. In 2010, the country adopted World Health Organization (WHO) guidance calling for universal diagnostic testing for malaria and recommending that antimalarial treatment be administered only when a test is positive. Previously, most health providers in Malawi diagnosed malaria clinically, based on the presence of fever. The government now promotes universal diagnosis and treatment for people of all ages at the community and facility levels. To achieve this goal, the NMCP has taken significant steps toward strengthening the quality of malaria diagnosis and improving access to malaria diagnostic tests. Notably, the NMCP began introducing rapid diagnostic testing in selected health facilities in November 2011. Although the NMCP has trained nurses and health surveillance assistants (HSAs) from across the country to effectively use RDTs, critical gaps remain. A rapid assessment conducted by MalariaCare found that there is a need to train additional health care workers, many of whom are already using RDTs despite having never been trained. Building diagnostic capacity. To improve knowledge and competency in malaria diagnostics, MalariaCare is supporting the NMCP to organize malaria diagnostics refresher training for laboratory supervisors. This activity will help the NMCP achieve its goal of developing a cadre of WHO-accredited malaria microscopy experts to conduct supervision and training at the district level. The project also is supporting high-performing participants from the training to attend WHO’s External Accreditation of Malaria Microscopy training for expert malaria microscopists. Improving malaria treatment. The project is building the capacity of physicians and nurses to provide appropriate treatment through a series of refresher training workshops in case management of malaria and other febrile illnesses. High-performing participants will become clinical supervisors. Providing supportive supervision. MalariaCare is supporting onsite training and supportive supervision visits for laboratory and clinical health workers performing malaria diagnosis and treatment. During the visits, about 1,000 health workers at 250 health facilities across 29 health districts will gain skills in malaria microscopy, use of RDTs, and case management. Supporting laboratory systems. MalariaCare works with the NMCP to strengthen laboratory systems by supporting a technical working group to revise national diagnostic guidelines for malaria and helping to develop a national archive of malaria slides. Conducting RDT training for health workers. MalariaCare is working with the government to address gaps in training for health workers who use RDTs. The project is supporting training and supervision of approximately 600 health workers in 14 districts who regularly employ RDTs at health facilities despite having never been trained in their proper use. Addressing this critical gap will help ensure that more families and communities have access to quality malaria diagnosis. Strengthening rapid diagnostic testing at the community level. The project is training 845 HSAs—staff who provide integrated community case management in hard-to-reach areas—on the use of malaria RDTs. Following the training, MalariaCare will collaborate with the MOH and NMCP to implement supportive supervision of HSAs to improve the quality of case management. The project will organize a national stakeholders meeting to discuss the introduction of RDTs at the community level. Conducted refresher training in malaria diagnostics for 20 laboratory technicians from 18 health districts to improve capacity in malaria microscopy and rapid diagnostic testing at the health facility level. Supported supervision visits to 640 health workers at 196 health facilities. Health workers gained knowledge and skills in microscopy, RDT use, and appropriate treatment. Performed a rapid assessment to assess gaps in RDT training and supervision in 29 health districts.